Immediately following a course completion, students are often given the option to sell their books back to the school bookstore, but not for the price they paid. Often students won’t even receive half of the full amount they paid. It is up to the bookstore to decide what the book is worth. According to a recent article published in The Plain Dealer, in a new piece of legislation Ohio lawmakers are asking to guarantee a 50-percent buyback rate on student’s textbooks. The bill also calls for more electronic textbooks or e-books and a program for schools to lower retail process by buying in bulk. E-books can cost half as much as the printed textbook and large education textbook publishers are catching on. Both McGraw Hill-Education and Cengage Learning notice the changes the internet has brought about in relation to textbook buying and both publishers are creating more options for students. According to The Plain Dealer article McGraw-Hill said about 95 percent of the company’s textbooks are available online as e-books. As technology continues to improve and with the arrival of Apple’s ipad and Amazon’s Kindle, the shift to e-books is underway. New Rules? According to The Plain Dealer article the bill would also ban the sale of bundles of class material, which forces students to purchase items that are not required for the course. An example of this is including a computer disc containing extra practice material along with the required book. The bill would also ban professors from receiving financial incentives to use certain learning materials and require bookstores to post book’s wholesale prices online and in stores. Details of the bill, including the 50-percent buyback, will be re-examined. The bill would have to gain approval in the House of Representatives and Senate before becoming law. Book Rental Another option gaining popularity with students who can’t afford to purchase textbooks is online textbook rental. In December 2009 Cengage Learning launched CengageBrain.com, a site that provides students the option to rent or purchase the company's published texts. 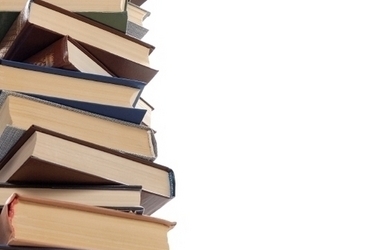 The publisher rents texts directly to students at 40 to 70 percent off the retail price. When the rental term - 60, 90 or 130 days is up, students can either return the textbook or buy it. Buy Online For now, students are taking the matter into their own hands, often by boycotting the school bookstore and getting their books from other sources such as discounted sites - textbooks.com, cheapbooks.com, ecampus.com and online book retailers such as Amazon.com.